In the wake of criticism over the U.S. Department of Education’s (DOE) proposed funding cuts to the Special Olympics, OpenTheBooks.com published a report of all the ways it says the agency is wasting taxpayer money, including the DOE overpaying $11 billion in Pell grants and student loans over the past two fiscal years alone. OpenTheBooks.com’s new oversight report “reveals outdated policies, misaligned priorities, and weak accounting controls at the department. Resources are being squandered,” the organization’s CEO and founder, Adam Andrzejewski, says. “Federal funding is being poured into the nation’s richest colleges, the worst performing junior colleges, nontraditional colleges you didn’t know existed, for-profit schools, and more,” he adds. The report highlights how federal money was spent on “higher education” programs, including $51.4 million of taxpayer money for a video game college at DigiPen Institute of Technology and $9.5 million to the Crescent City School of Gaming and Bartending. The Professional Golfers Career College received $4.5 million in federal funds, and Northwest School of Wooden Boat Building received $781,330. The agency also spent billions of dollars on staffing. It spent $1.6 billion to hire companies to collect and disperse federal student loans, according to the audit. 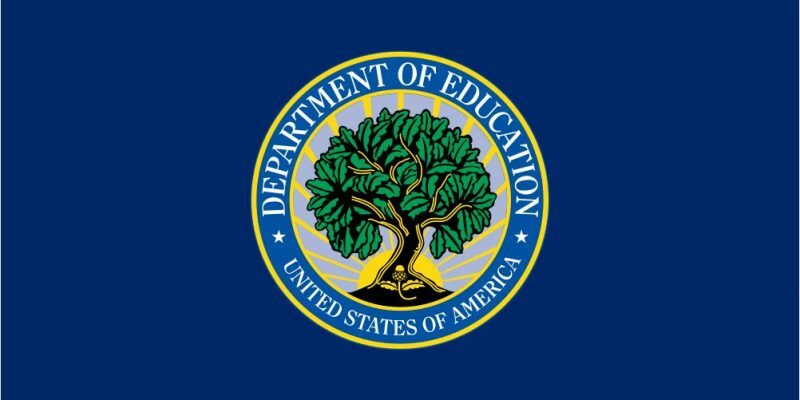 In fiscal year 2017, the DOE employed 3,818 staffers; 2,600 earned more than $100,000. On average, including benefits, each employee costs taxpayers $143,992, the report states. The agency’s employees spent 6,522 working hours in Fiscal Year 2016 on union activities instead of on their department jobs despite being paid by taxpayers, the report notes. In March 2018, the DOE eliminated this policy, called “official time,” saving taxpayers about $500,000 annually. “Employee unions are private organizations, not public entities,” OpenTheBooks.com notes. The top five states who receive the most federal money – 36 percent of all DOE funding – are California ($18.6 billion), Texas ($12.6 billion), New York ($11.9 billion), Florida ($9.5 billion), and Illinois ($7.2 billion). Federal funding included grants, contracts, direct payments and student loans. High tuition costs could easily be dropped in light of the federal funding pouring into higher education institutions, Stephen Moore, an economic consultant with FreedomWorks, says. The DOE gave $6.9 billion to 25 colleges and universities that have the largest endowments in the country. Collectively, they hold one quarter-trillion dollars in existing assets. They received federal money in the form of grants, contracts, and direct payments, and student loans. The most expensive colleges should be required to lower their tuitions costs every year by 5 to 10 percent, Moore said. The institutions can cut costs or use their endowments to subsidize the out-of-pocket costs paid by students and/or taxpayers.